I would like to know how to set up root, sudo, sftp-only user accounts which won't be required public key authentication at log in. I would also like to know how to set up sftp-only users' home directories where they can't access upper level other directories. 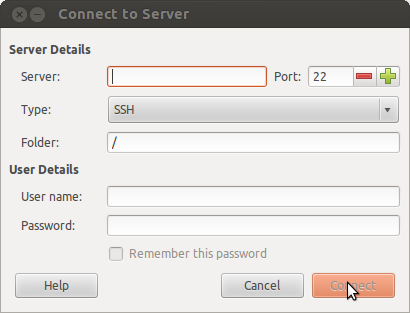 The best resource to help you begin setting up an ssh service on a Host machine using Ubuntu is OpenSSH Server. This will allow you to use SSH File Transfer Protocol (also Secure File Transfer Protocol, or SFTP) to access, transfer, and manage files over SSH from a Client machine. "Make sure you have a strong password before installing an SSH server (you may want to disable passwords altogether)"
Administrative User Accounts created on Host will have sudo privileges, Standard User Accounts created on Host will not. To configure your OpenSSH server, "first, make a backup of your sshd_config file by copying it to your home directory, or by making a read-only copy in /etc/ssh by doing:"
"Once you've backed up your sshd_config file, you can make changes with any text editor, for example:"
Note the port Host's ssh service listens to in the sshd_config file and setup your router to forward TCP/UDP traffic aimed at this port to the IP address of your OpenSSH server. Typically, you can point your web browser to 192.168.1.1 in order to login to your router and setup port forwarding. See Configure OpenSSH server and router to accept SSH connection over internet? Proper file permissions in place on Host guarantee that each standard user (without sudo privileges) that you create on Host will own their /home/new_user directory but have limited permissions with the rest of the directory structure. Limited permissions does not necessarily mean they are unable to view filenames and directory structure.